We have done it! 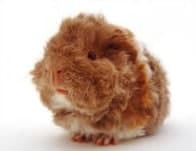 We have created the most fantastic fluffiest, furry list of all time…….the ultimate list of guinea pigs!!! Our Ultimate list features different breeds, and highlights what we think is great about them. In Australia, we are lucky enough to have many different breeds of guinea pigs. 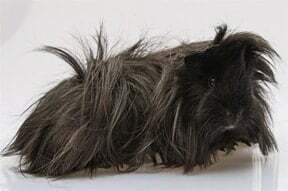 These can range from long haired to shorter haired varieties and particular breeds of guinea pig may have different personality traits compared to other types. 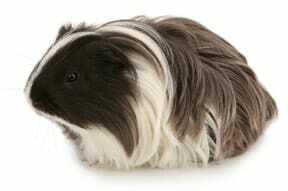 Origin: The American guinea pig originated in South America, particularly in the Peruvian Andes. American guinea pigs are noted for their prominent ears and round nose. Their coat is also smooth, often one colour – however they do come in a wide range of colours. Do not require regular grooming or trimming. They are active and friendly. American crested feature a single rosette on the top of their heads,which is a different colour to the rest of their body – this is often a white crest but can vary. Himalayan guinea pigs are considered as the Siamese cat among the breeds. Himalayan’s feature a white coat with highlights of brown or black on the ears, feet, and nose. Their toenails and feet also have dark coloured pads. These guinea pigs are born white, with the darker highlights only showing after the first few weeks. If exposed to bright sunlight or hot weather, the highlights may seem to fade. It also does the same thing when the pigs are scared, shocked, or sick. This breed in recommended for those who have had Guinea pigs before as they can be high maintenance and are best kept indoors. The Ridgeback guinea pig has a smooth short coat of hair that is embellished with a noticeable unbroken ridge of standing hair that runs down the length of its back- from neck to rump. The hair on their hind feet looks like it’s growing up the leg instead of down and can be in tuffs. Baby Ridgeback guinea pigs aren’t always born showing the ridge of fur on their back. It could take a few weeks for the fur in the ridge to take hold and show itself. Ridgeback guinea pigs sometimes have rosettes springing up in their coat of hair. Teddy guinea pigs have a springy coat that is dense, harsh, even and short. Their hairs stand all over their body giving them a “puff “and often grow up to a moderate length. 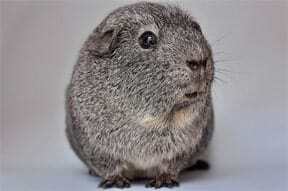 It is mainly the reason why they look more like a soft toy than a guinea pig. Hair can be longer over ears and straight whiskers. Well natured with a sweet temperament. Teddy Guinea Pig breeds are inquisitive, fun-loving animals, and they are an ideal option to be maintained as pets for kids. Rex guinea pigs are among the rough-coated breeds. They have no guard hairs, which give their coat a woolly texture. Their hairs are just about 1 cm tall at their longest, although they form a dense coat. The Rex is also noted for their huge droopy ears and broad head. The hair on their underbelly is curly and dense as well. They feature curly, crimped whiskers. Rex guinea pigs also have a very sweet temperament and loved to be held and pet. The Abyssinian guinea pigs known for their unique, rough coat with eight rosettes neatly arranged by pair across their body. They have a rough coat that often grows up to 4 cm. They are found in various colours – brindle, roans, tortoiseshell, and solid colours. The major characteristic of the coat pattern of the Abyssinian Guinea Pigs is that its growth is in spirals called rosettes. They come in varying phases of recognition. Abyssinian Guinea Pigs are very beautiful, and with mild training, they will be extremely affectionate and even some pigs may grow as lap pigs. They are easy to maintain and great as a first-time guinea pig. The Sheba Mini yak, (commonly referred to as a Sheba) is a heavy-set, sturdy Guinea Pig with a tousled, rosette coat. 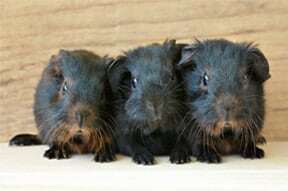 They are lovingly referred to as the ‘bad hair day’ guinea pig and described by some as looking like a combination of the Abyssinian and Peruvian breeds. Their coats should be dense and springy with a natural texture. Their heads are squarish and feature full mutton-chop whiskers. Sheba’s have a wonderful nature and are inquisitive. Their coat requires a lot of grooming and maintenance. Silkie is known for its long, soft, shiny and smooth coat. It should not have any rosette on its body or have growing hair pointed upwards right towards the face. Its coat should be whole, not parted the Silkies hair sweeps back over its head. A Silkie also has a teardrop shape. Among all the guinea pig breeds, the Silkie is known for being the most gentle. They have a laid back personality and may appear like shy creature in the beginning. It may take them longer than other guinea pigs to warm up to you. Silkies can be high maintenance due to their hair. Texel Guinea Pigs are known for their soft, thick hair that ends up on ringlets or curls. They have compact bodies with a broad and well-rounded head. They can be compared to a Silkie in terms of appearance, only with curly hair. 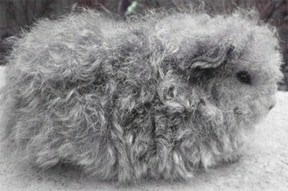 The whole body of the Texel Guinea Pig breed is sheltered with hair, and it occasionally has a natural part in the middle of the back. The face of this breed has shorter hairs, and there can or cannot be longer curls beneath the lower jaws and the ears of the animal. All of the lush and curly hair of the Texel Guinea Pig needs a considerable amount of labour to maintain. Due to this reason, this breed is not an ideal pet option for kids or adults who could not spare their time for grooming this breed. Coronets look like Silkies mainly due to their smooth coat that grows backwards over the entire body. However, the major difference between these two guinea pig breeds is that the Coronet Guinea Pig has a rosette or coronet in the middle of its head. The hair of the Coronet Guinea Pig breed will not have a part and its elongated hairs will grow backwards above their body. These Coronet Guinea Pig breeds are not like their White Crested forerunners because their crests may assume any colour and may have white colour on any element of the body. The Coronet Guinea Pigs are curious, playful, and affectionate. 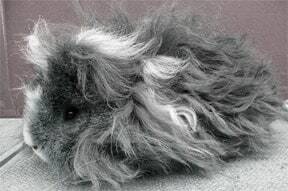 Like any other long-haired guinea pigs, Coronets need frequent grooming. 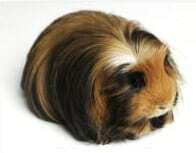 The Peruvian guinea pig breed has elongated hair all over its body. 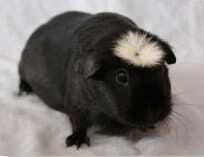 The topcoat of this Peruvian guinea pig breed is capable of growing to a maximum length of 24 inches. The hair parts of the Peruvian guinea pig are straight down the spine, and naturally and extends to the face forming a fringe. They are usually born with two rosettes, with the hair extending forward one extending towards the rear. 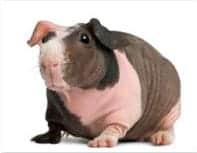 The Peruvian guinea pig is more difficult to care when compared to other short-haired guinea pig breeds as their coat can be high maintenance and require a lot of grooming. 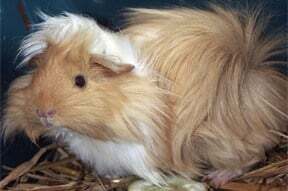 Aplaca guinea pigs are considered by many pet lovers as among the most beautiful of all the breeds. They have long coarse, wavy hair which has different colouring on its ends as opposed to the main body of it. They get their name from their close resemblance to the aplaca animal.Aplaca guinea pigs have a rosette on their foreheads. They are indoor animals who do not do well outside. 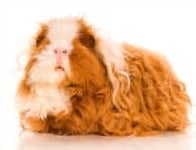 The aplaca guinea pig is quite high maintenance guinea pigs compared to other breeds. This is because of the length of their hair which requires brushing and de-tangling on a daily basis. The Merino guinea pig resembles a Texel only they have curly coats which are short on their heads, along with a crest type rosette right on the top of their heads positioned evenly between their eyes and ears. Their heads are short and broad, the profile of which should be gently curved with no flatness. The breed is well known for its lovely temperament which is why Merinos have become such a popular choice of guinea pigs to keep as pets. The Lunkarya, sometimes Lunk for short, is a new breed group developed first in Sweden, and mainly seen in the Nordic countries. The group has three breed variations: the Lunkarya Peruvian -with a prominent forelock, the Lunkarya Sheltie -with the hair flowing back over the body, and the Lunkarya Coronet – with a crest on the forehead. It has a long, rough, curly coat that should be very dense and full of corkscrew-like curls. The coat cannot be combed out and does not lie flat. 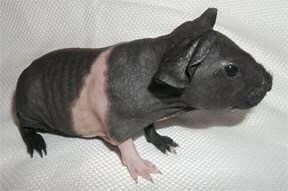 The modern Skinny Guinea Pig breed is the result of the crossing between a hairless lab strain and haired guinea pigs. 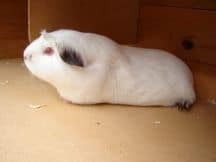 These Skinny Guinea Pigs have tuff’s hair on their feet, muzzles, and legs, but they do not have hair over the remaining parts of their body. Some of the Skinny Guinea Pig breeds also have a thin cover of fluffy hair on their backs. The skin of a healthy Skinny Guinea Pig is mostly soft with a little wrinkling around their neck and legs, and their body is full without the appearance of ribs or spine.The Skinny Guinea Pig breed comes in a range of patterns and colours, such as Tortoiseshell, Dutch, and Himalayan, and in several other patterns and colours. The Skinny Guinea Pig can be high maintenance. Skinny Pigs exposed skin is easily susceptible to wounds and fungal diseases if proper care is not taken. These Skinny Guinea Pigs are mostly accommodated indoors, and they are generally kept with nesting materials, like a cloth bag or a blanket for heat protection. They are completely bald and their skin has a rubbery texture to it. Baldwin’s are born with all their hair. However after just a few days of their birth, their hair starts to fall out and over a period of a few months leaving them it gradually disappears leaving them completely bald.Baldwin guinea pigs, although quite hardy creatures they are not capable of dealing with really cold temperatures and so should always live inside. They are able to have short periods outside in warm weather but as they have no coat do not have the protection they need to protect them. They cannot cope with any direct sunlight and so must be kept in the shade when you have them outside. Agouti: Every hair has the bottom and the tip the same colour, with the middle being a contrasting color. There are silver, golden, and cinnamon Agoutis. Brindle: Dark and light tan. Dalmation: White with dark spots. Dutch: White body with brown or tan markings. Himalayan: White body with a black nose, ears, and feet. Mixed: Any assortment of colors, including collared varieties. Roan: Dark hairs evenly mixed with white. Tortoise Shell: Patched dark and light brown colors with all the patches having distinct lines. Tortoise Shell and White: These are basically the same as the Tortoise Shell, but also have white. This entry was posted in Guinea Pigs and tagged australia, breed, breeds, guinea, guinea pig, list, listing, pig.